More cooks in the kitchen please! BSH delivers a multi-sensory culinary experience. 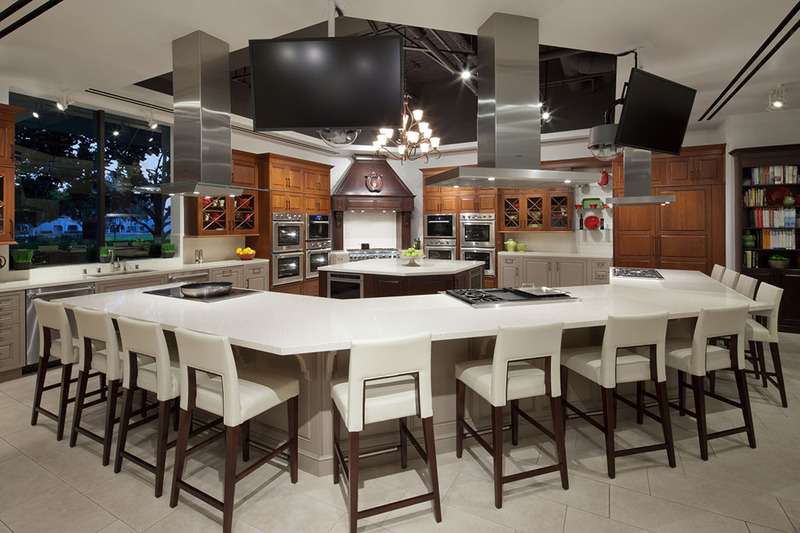 Busy kitchens can result in sauce-stained floors and cranky cooks, but the lively kitchens at the BSH Experience and Design Center in Irvine are a bastion of culinary joy. 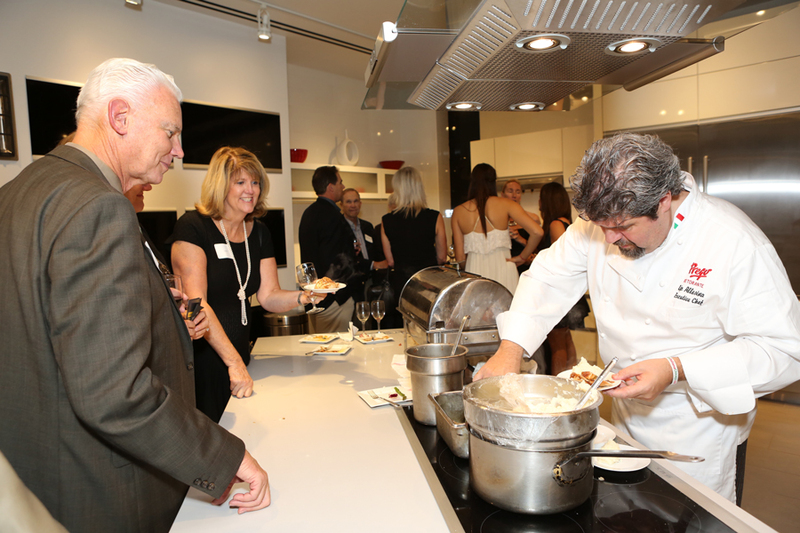 The Center boasts nearly 20 kitchen “vignettes” including fully functioning cooking spaces designed to inspire pro and amateur chefs alike. But the space is about much more than just chopping and sautéing. 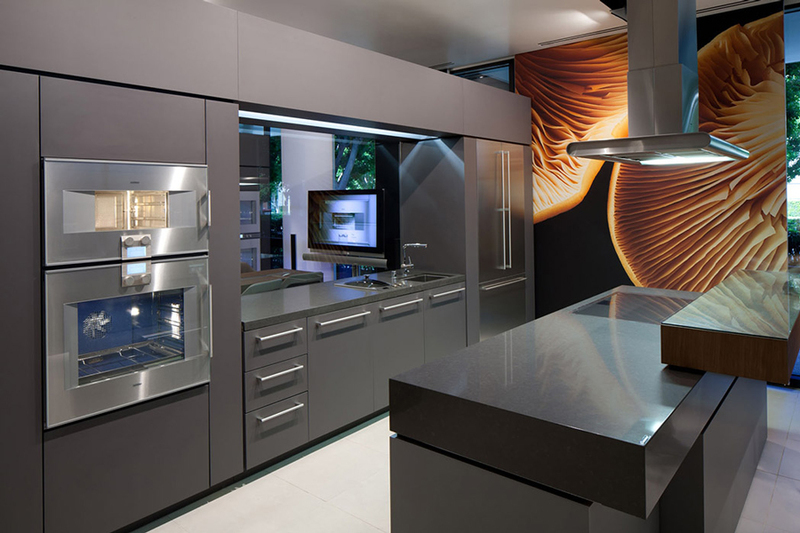 BSH Home Appliances Corporation manufactures high-performance, innovative appliances under the Bosch, Thermador and Gaggenau brand names. 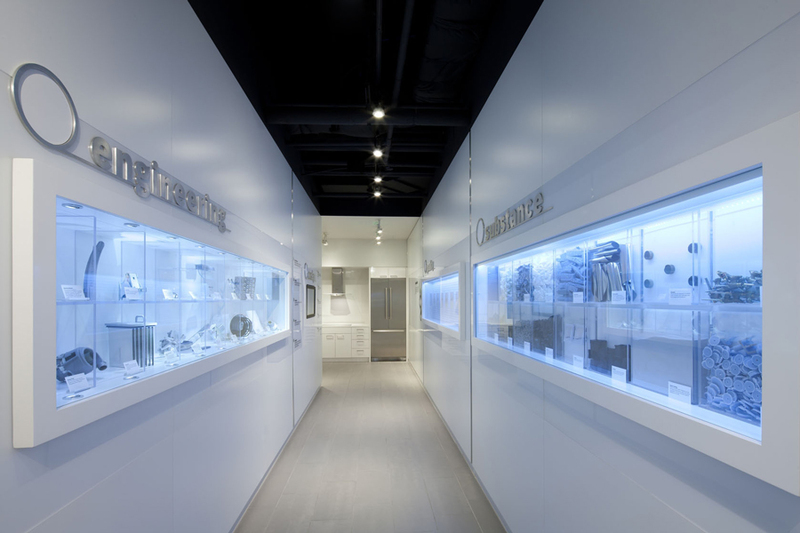 BSH envisioned its Experience and Design Center as a place to inform and impress professional and aspiring chefs, high volume resellers, kitchen designers, and builders. Cibola’s goal was to help create a truly immersive, multisensory learning experience by thoughtfully and strategically integrating audiovisual technology into the space. The venue needed to deliver a personalized experience that could scale across a multitude of events: VIP visits, multi-day seminars, and receptions with hundreds of people. The result rivals any elaborate kitchen set you may see on your favorite cooking program. 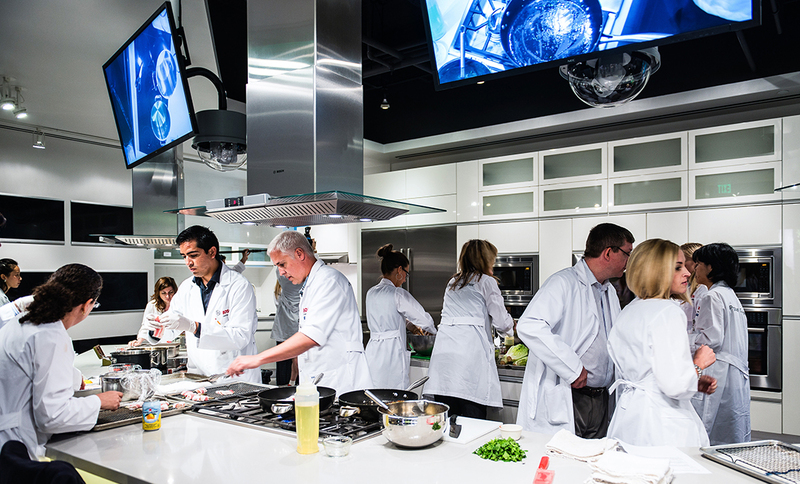 To amplify the multi-sensory experience, Cibola installed large LCD displays that relay live video from high definition cameras over three cooking theaters. Wireless microphones deliver crisp audio to loudspeakers throughout the building, allowing chefs to easily interact with their guests and presenters to move from one vignette to another. Interactive video kiosks scattered throughout the space let visitors explore BSH products at their own pace. Even the dishwasher display is interactive, with a sound meter on the wall to show how quiet these units can be. The Center has become a beehive of activity with regular training sessions, sales presentations, special events, and more. Through a learning approach to product promotion, BSH has combined the emotional rewards of cooking and eating together with the cognitive satisfaction of building personal knowledge. The range of technologies that support this focused strategy reflects the exceptional attention to detail and delivery that defines each BSH product line.